Late one night, a very poor shoemaker cuts his last two pieces of leather and goes to bed, worried about how he will support his family. He wakes to find two exquisitely made shoes in place of the leather. They are so beautiful that a customer pays more than the asking price, and the cobbler is able to buy enough leather for another pair of shoes. The next morning, the cut leather has been turned into shoes again! Who could be giving the shoemaker this gift? 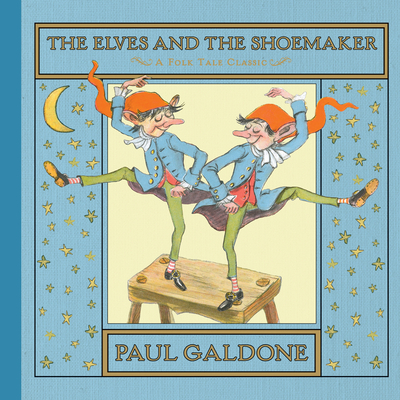 Paul Galdone’s retelling of this fairy tale is now part of the Folk Tale Classics series. With gold-foil stamping on the cover, this is a beautiful edition of a timeless story!